Provide the template with a title here. Click here for more information about defining titles. The title is shown in the browser in the list of available export templates. 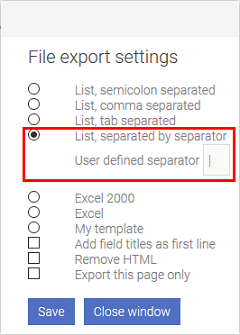 A separator can be specified here that should be used in the exported data. 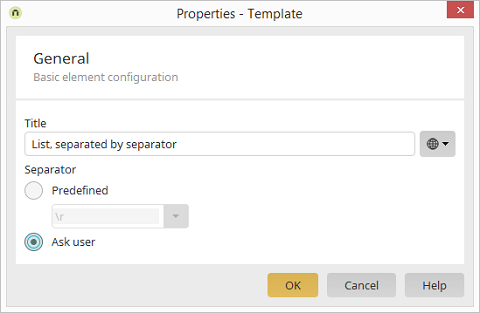 As well as the selectable, predefined line breaks, a custom separator can be entered directly in the drop-down list field. Alternatively, the separator can be determined by the user in the browser.